The success of mastering and enjoying motorcycling is achieved by learning from an official instructor and training course. Now you can get the full details on what you need to know before you ride- right from your own home! The CSC (Canada Safety Council) Online Motorcycle Training Course is for those thinking about learning, enrolled for training, or in need of a refresher. Relevant specifically to North American / Canadian road regulations and licensing, Online Learning Enterprises has worked closely with the Canada Safety Council (CSC) to provide this online safety training for motorcycle enthusiasts and riders. 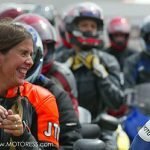 The program, entitled ‘Motorcycle Safety Online – what you should know before you ride is an inexpensive, thorough and easy method you can do in the comfort of your own home! Want to learn to ride, not sure if it’s for you? The Online Motorcycle Training Course will give you a great intro about the sport at minimal cost. Already enrolled in an upcoming safety course. Indeed the safety course will provide you with all you need to know, but some learn faster than others and these modules can be viewed at your own pace! Born again biker? Still holding your motorcycle license you can use this program to bring you back in to the mindset of safe motorcycling. 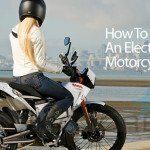 If you’re thinking about getting your motorcycle license or enrolling in a safety course in the near future, this comprehensive yet easy-to-understand program is designed specifically for you. Even if you’re simply curious about what’s involved in motorcycling, there are important protocols you should be aware of so you can get the most out of your new hobby – safely and efficiently. For those who already have a motorcycle license and are returning to ride after a period of absence – a refresher course in motorcycle safety is advised. If you’re not already a rider, the best time to train for safety is before you begin riding your bike, because you’ll prevent yourself from developing bad riding habits that you’ll have to un-learn later on. Discover your ideal motorcycle size and style (it’s definitely not the same for everybody), and learn your licensing and insurance requirements upfront to avoid any unpleasant surprises in the future. You’ll also save money by recognizing the best riding gear for you, and buying the right stuff the first time. 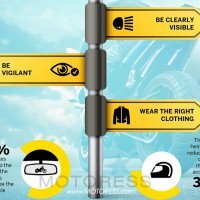 CSC recognizes and endorses Motorcycle Safety Online as a complete, end-to-end training program for all riders, current and prospective, and encourages anyone interested in riding a motorcycle for sport or transportation to enrol in this training to absorb essential safety knowledge and best practices. Motorcycle Safety Online is designed for maximum student involvement to encourage total information retention. Study resources remain available to all participants post-course, enabling riders to demonstrate ideal motorcycle safety practices at all times. 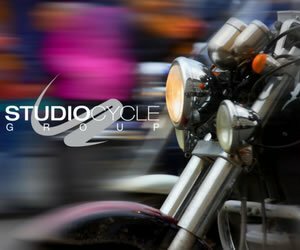 Motorcycle Safety Online program using top-quality, multimedia training materials and sessions, custom graphics and real-world video examples making it interactive and fun! These help engagement and solid knowledge retention. 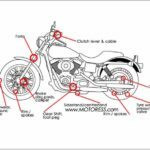 Starting with an introduction to the finer points of motorcycles (and the reasons why safety training is so important), you’ll quickly move into safety specifics and other important considerations. Each module thoroughly covers multiple related subtopics, providing one of the most detailed Online Motorcycle Training courses available, both online and off. There’s a lot more to motorcycle safety than meets the eye, and interactive multimedia training helps participants achieve maximum information retention – much better than a manual or simple video. Participants receive a graduation certificate upon successful completion of all course modules, quizzes and final exam – a passing grade of 80% must be achieved.